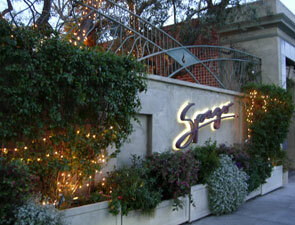 The restaurant incorporates a beautiful outdoor patio. Two private dining areas with a separate bar for special occasions. 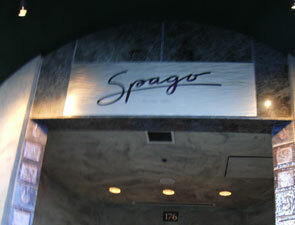 A celebrity hangout Spago has been the scene for many a Hollywood function. Sample Dishes: Grilled Prime Côte de Boeuf for Two/House Smoked Salmon Pizza/Veal “Wiener Schnitzel"